Miami, FL – October 2, 2018 – MMG Equity Partners has acquired Pinecrest Center, a 34,306 SF mixed-use shopping center located at 11975 South Dixie Highway, Pinecrest, FL for a purchase price of $9,725,000 or $284/SF. Drew Kristol and Kirk Olson, both Senior Vice Presidents of Investments and Associate Jean-Baptiste Ramet from Marcus & Millichap’s Miami office represented the Seller, a family owned investment group. Pinecrest Center is strategically located on US1 and 120th Street in one of Miami-Dade’s busiest retail corridors. Tenants at Pinecrest Center include Pet Supermarket, Miami Home Center, and IHOP. The second floor of the property features recently remodeled executive offices ranging from 240 to 600 SF, plus a shared conference room. 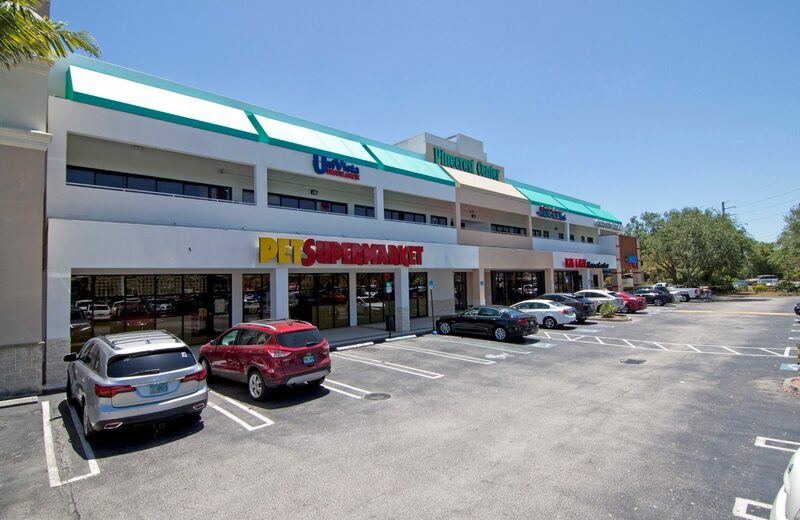 MMG acquired the 15,000 SF Pinecrest Shoppes shopping center at 11635 S Dixie Highway just to the north in April of this year and is currently in the process of remodeling the property.